GENEVA NY — The Smith Center for the Arts has just announced three concerts that are part of The Smith’s Jan Regan Club Series. 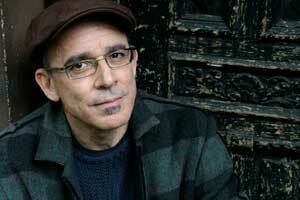 Singer/songwriter Kenny White will perform at 8 p.m. Friday, Feb. 15 at the Smith Opera House, 82 Seneca St., Geneva. The country duo Granville Automatic will perform at 7:30 p.m. Saturday, March 9 at Ventosa Vineyards, 3440 NY-96A, Geneva. And Canadian singer/songwriter and performance artist Jane Siberry will perform at 8 p.m. Friday, April 26 at Hobart and William Smith Colleges’ Bartlett Theatre inside Coxe Hall, 337 Pulteney St., Geneva. The Smith’s Jan Regan Club Series is a small concert project of the Smith Center for the Arts that brings important artists to venues in and around Geneva for small, intimate performances. In some cases, that intimate atmosphere is created at the Smith Opera House. The project is named after longtime Smith Board Member and former interim executive director Jan Regan, who launched the series. Back by popular demand after opening for Stephen Stills and Judy Collins at The Smith in June 2018, Kenny White comes to the world of the touring singer-songwriter following a long and successful musical journey. Long List of Priors, his aptly named album released in 2016, is the latest collection of original songs: snapshots of the human condition, from heartwarming to humorous. Radio favorites are “Cyberspace” and “A Road Less Traveled,” featuring David Crosby on harmony vocals. General admission tickets for Kenny White are $23 plus service fees. 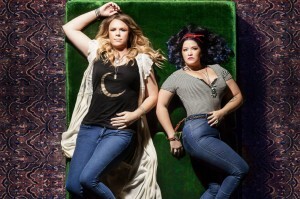 Led by a modern-day Linda Ronstadt, Granville Automatic writes songs the Associated Press calls “haunting tales of sorrow and perseverance.” With influences as diverse as Emmylou Harris, Ryan Adams, The Smiths and Dawes, Granville Automatic has created a one-of-a-kind sound that revolves around their passion for storytelling. The duo, comprised of Nashville songwriters Vanessa Olivarez and Elizabeth Elkins, is named after a 19th-century typewriter. General admission tickets for Granville Automatic are $20 plus service fees. 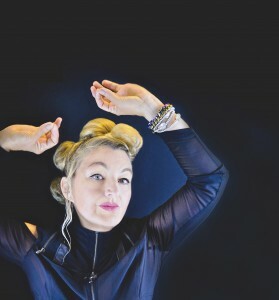 Iconic and enigmatic, Jane Siberry’s work has spanned three decades, with the release of 14 studio albums and performances on concert stages around the world. Her 1985 album The Speckless Sky was a huge critical and commercial success, and the follow-up albums (The Walking, Bound By Beauty and When I Was A Boy) along with her signature song “Calling All Angels” have cemented her status as one of the world’s foremost performance artists. General admission tickets for Jane Siberry are $28 plus service fees. Tickets for all three shows are available at the Smith Opera House box office and at www.thesmith.org. Patrons are encouraged to purchase tickets early due to the limited number of seats available for each show. The Smith Center for the Arts, stewards of the historic Smith Opera House, provides diverse arts and educational enrichment opportunities year-round for Finger Lakes residents and visitors. The Smith Opera House is at 82 Seneca St. in Geneva, NY. Box Office hours are 10 a.m. to 4 p.m. Tuesday through Friday. For more information, call 315-781-5483 during box office hours or visit www.thesmith.org.